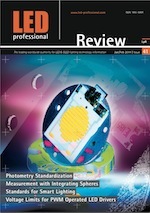 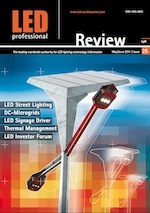 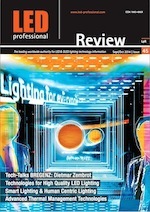 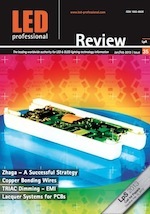 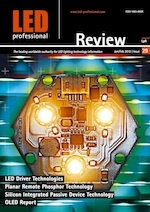 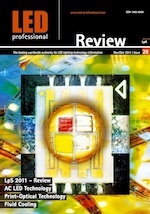 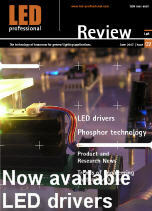 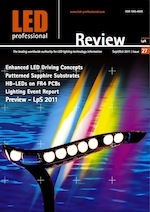 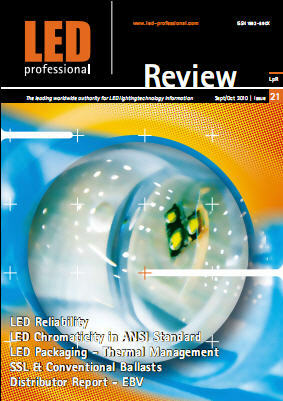 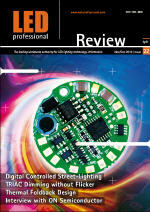 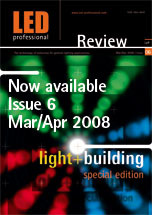 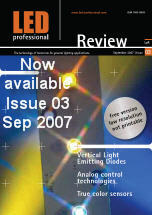 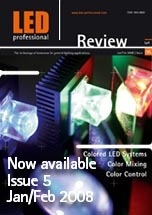 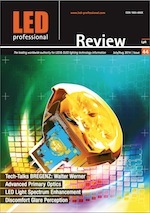 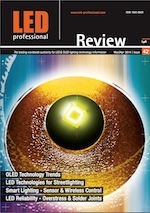 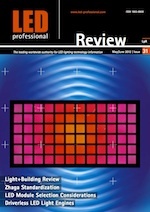 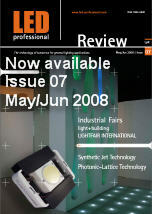 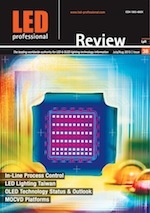 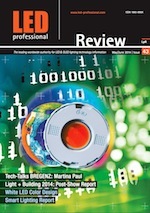 Subscribe to the free LED professional Newsletter (LpN) and to the free issue of LED professional Review (LpR). 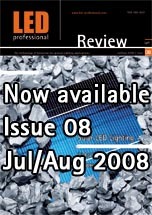 What the Heck is Future-Proof? 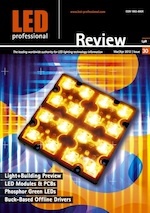 Intelligent Lighting - A Case of Diminishing Returns? 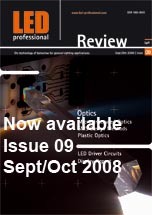 Interview with Dr. Chuong Anh Tran, President at SemiLEDs Corp.
"Growing GaN Epi Layers on 200 mm Silicon Substrates for LED Applications"
"Influence of the Phosphor Selection on Lighting Quality"
"Highly Efficient and Reliable Power Supply for LED Street Lighting"
"LED Drivers Help to Make LED Lighting Costs Competitive without Compromising Quality"
"LED Driving Techniques to Hit Power Efficiency Targets of TV Backlight Systems"
"LED Street Lighting - About Standards, Challenges and Misconceptions"
"DC Microgrids and SSL - Key Components for Zero Net Energy Buildings"
"LED Driver Innovations for High-Performance Signage"
"LED Cooling in Harsh Environments with Synthetic Jet Technology"
"Thermal Management of LED Lamps"
"HB-LED Alert Device with Intense Light Output"
"The Optical Plastics Make a Difference to a Lens"
If you have downloaded your copy before April 5th, 2011, please download the newly uploaded version again! 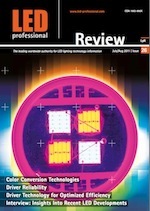 "The Future of LED Systems is Digital"
Synthetic Jets for Active Cooling of LEDs, by Mick Wilcox and Lee Jones, Nuventix Inc. 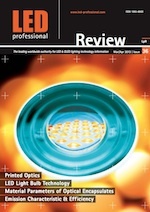 Thermal Simulations for LED Applications, by Dr. Johannes Adam, Flomerics Ltd.
by Andy Aaron and Jeanette Jackson, Light-Based Technologies Inc.